A blog gives your company the chance to express itself in a less formal, more interactive way than the pages of your website. 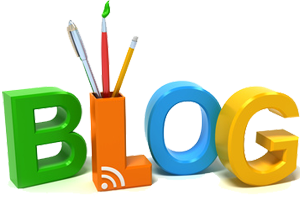 Blog posts provide valuable information to current and prospective customers as well as industry influencers who may use them as links to their own posts or conversations – creating organic reach for your business and establishing you as a “mover and shaker” in the field. Another benefit to blog posts is that it keeps your page active in the directories used by search engines like Google and Bing. Search engines “crawl” sites on the internet based on how new the information is and use that as one factor in determining rank. Having frequent blog posts about relevant topics keeps search engines focused on crawling your site and away from your less active competitors. Here 2 Help Services provides blog posts on a predetermined schedule which you set. You can have one a month, one a week, or any other schedule that seems reasonable for your industry. We work with you to develop topics and check for technical accuracy when necessary. We also post the blog to your site and use appropriate SEO techniques to ensure your new post has maximum visibility.